Emperor Akihito and Empress Michiko are welcoming Spain’s Kind Felipe VI and Queen Letizia, who are visiting Japan as state guests, at the Imperial Palace, with Crown Prince Naruhito and Prime Minister Shinzo Abe also attending a related event there. But there are two nameless people who are not happy with this visit- a Mexican Musician , who hates the Spanish and a Japanese business man, who hates the Chinese. They meet at the Transit Lounge in Doha International Airport, waiting for their connecting flight to Tokyo and begin telling revealing stories which take us to Lille, Paris, New York, New Delhi, Lagos, Tel Aviv and down to Tokyo. 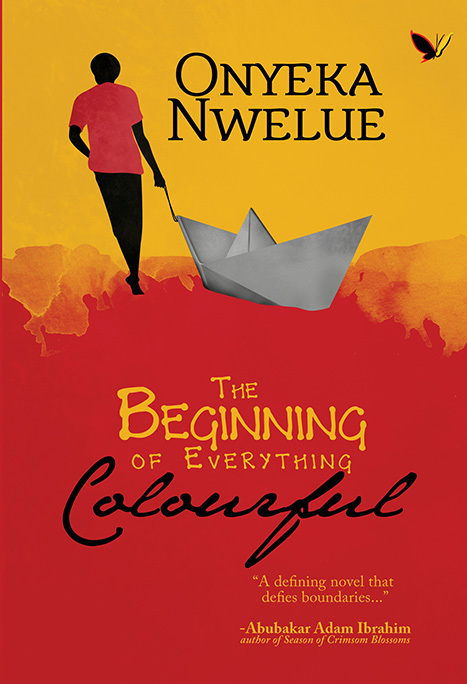 The Beginning of Everything Colourful is a masterfully written novel that drives its narrative with facts incorporated into fiction, bringing real life characters to live on the same pages with imagined characters. It is filled with amusing ironies about race, cultures, politics, cultures, religion and politics. Onyeka Nwelue was born in Nigeria. He has taught in Universities in India and the US. A man of many parts, he has authored books in both fiction and non-fiction. When not working on a book or film project, Onyeka is crossing one more border, travelling the world.